As a result of a Congressionally Directed Activity, the Central Intelligence Agency conducted an evaluation of a 24-year, government-sponsored program to investigate ESP and its potential use within the Intelligence Community. The American Institutes for Research was contracted to conduct the review of both research and operations. Their 29 September 1995 final report was released to the public 28 November 1995. As a result of AIR’s assessment, the CIA concluded that a statistically significant effect had been demonstrated in the laboratory, but that there was no case in which ESP had provided data that had ever been used to guide intelligence operations. This paper is a critical review of AIR’s methodology and conclusions. It will be shown that there is compelling evidence that the CIA set the outcome with regard to intelligence usage before the evaluation had begun. This was accomplished by limiting the research and operations data sets to exclude positive findings, by purposefully not interviewing historically significant participants, by ignoring previous DOD extensive program reviews, and by using the questionable National Research Council’s investigation of parapsychology as the starting point for their review. While there may have been political and administrative justification for the CIA not to accept the government’s in-house program for the operational use of anomalous cognition, this appeared to drive the outcome of the evaluation. As a result, they have come to the wrong conclusion with regard to the use of anomalous cognition in intelligence operations and significantly underestimated the robustness of the basic phenomenon. As part of the fiscal year 1995 defense appropriations bill, responsibility for the government-sponsored investigation and use of ESP* was transferred to the Central Intelligence Agency. In a Congressionally Directed Action, the CIA was instructed to conduct a retrospective review of the 24-year program, now known as STAR GATE, that resided primarily within the Intelligence Community. The analysis was to include the research that was conducted since 1972 at SRI International and later at Science Applications International Corporation. In addition, the CIA was to include an assessment of the intelligence-gathering utility of anomalous cognition (AC), and the program history was to be declassified (CIA Public Affairs Office, 1995). Initiated in June 1995, the evaluation was to be completed by 30 September 1995. The CIA contracted with the American Institutes for Research (AIR) to manage the review. They, in turn, formed a “blue-ribbon” panel that included psychologist Professor Ray Hyman from the University of Oregon and statistician Professor Jessica Utts from the University of California at Davis. AIR contributed Michael Mumford, Ph.D. and Andrew Rose, Ph.D. to the panel to provide unbiased assessment on methodological issues. The President of AIR, David Goslin, Ph.D., served as coordinator of the evaluation effort. The CIA-sponsored AIR investigation concluded that a statistically significant laboratory effect has been demonstrated but more replications were needed. In no case had the anomalous cognition information ever been used to guide intelligence operations (Mumford, Rose, and Goslin, 1995). Limited the data sets in the analysis. As a way of officially ignoring anomalous cognition’s positive contributions to intelligence, only a small fraction of the operational remote viewing database was examined. That was the final data collected just before the unit closed, a time widely known as problematic. In their laboratory evaluations, they restricted the investigation to only the government-sponsored research and then insisted on the need for more outside replications. In doing so, they ignored the conclusions of one of their own investigators who showed that the government-sponsored research had been already been conceptually replicated. Failed to contact significant program participants. Because of the complexity of the 24-year program, it is impossible to conduct an in-depth and accurate evaluation without significant contact with the program’s many major participants. The review focused on the project’s reports, but they were written to satisfy specific contract requirements and were not designed individually or in total to serve as a program justification; thus, these documents provide a substantially incomplete picture of the program. Apply consistent criteria for acceptance or rejection of anomalous cognition. The investigators were troubled by possible non-AC alternative explanations for the statistically significant laboratory results, yet ignored similar alternatives for the failed operations. For example, well-known psychological effects such as bad morale, failed expectations, and a lack of a supportive environment, were not discussed as potential alternatives for the failed operations. In their positive forms, all of these psychological effects are critical for excellence in any human activity. Avail themselves of the previous exhaustive reviews conducted by various organizations within the DOD, all but one of which was positive. Since the CIA was allowed only four months to complete the evaluation, it is surprising that they chose not to use this resource. Reject a discredited evaluation of parapsychology conducted by the National Research Council (NRC). They knew that the NRC investigators were not cleared for access to the vast majority of SRI’s research, yet the AIR investigation relied heavily on the NRC’s review to question the SRI research results prior to 1988. Use neutral government scientific evaluation resources such as the Military Services’ or the CIA’s Scientific Advisory Boards. Instead they commissioned external investigators with previously published conclusions about parapsychology. The CIA could then justify whatever conclusion they wished, because it would be consistent, by definition, with at least one of their external reviewers. To recognize a potential significant conflict of interest for Dr. David Goslin, president of AIR and a report co-author. He had administrative responsibility for the discredited NRC investigation of parapsychology. Finally, since the political situation and the status of the program had significantly deteriorated technically and administratively, I speculate that this contributed to the underlying reason why the CIA did not want the program even before the evaluation began. In this paper, I will expand upon these topics to demonstrate clearly that the outcome and conclusions drawn by AIR and subsequently the CIA were set before the investigation began, and that methodological and administrative choices were made to assure that the results of the investigation would support the CIA’s pre-determined perspective. In addition, I will document that they have come to the wrong conclusion with regard to the use of anomalous cognition in intelligence operations and greatly underestimated the robustness of the phenomenon. The program evaluation was set from the beginning to only include government-sponsored research. If the evaluation was confined to the assessment of the scientific quality of the research, then perhaps this is not a bad idea, given that the Congress was trying to determine whether there was merit to continue. Upon closer inspection, however, even in this case, limiting the scope of the evaluation to exclude replications is scientifically invalid. The evidence for or against a statistically-based phenomenon cannot rest on the evidence provided by a few investigators in two laboratories (i.e., SRI and SAIC). Rather, science demands that the evidence rest in replications. Yet, the reviewers were requested not to look outside the STAR GATE project. No statistically based phenomena can be established without replication, yet the investigators were instructed not to look for any. (Utts, ignored this instruction and clearly showed that a conceptual replication has been well established in the literature and that significant statistical consistencies existed between the SRI and SAIC data sets.) Since the investigators were restricted at the outset, the top two bullets above are true by construction-not by analysis. A casual scan of my collection of technical journals found four independent replications of remote viewing (Dunne and Bisaha, 1979; Schlitz and Gruber, 1980; Schlitz and Haight, 1984; and Targ et al., 1995). Rather than more replications as called for by AIR and Hyman, what is needed is a meta-analysis of all the AC studies to date and more attention on potential mechanisms. Perhaps I should rest my case here. The CIA/AIR conclusions appeared to be designed into the investigation. Their final bullet above is questionable on its face value, because it is true by the nature of intelligence, not because of a valid criticism of the program’s operational AC. The only valid measure of intelligence utility for anomalous cognition is a top-level out-come measure, not a statistical analysis. In short, do end-users come back for more? Do any end-users have cases they can point to that helped solve an intelligence problem? The CIA and AIR say no, but as I will show below, that conclusion was also arrived ate by construction rather than by analysis. I first learned of the CIA/AIR’s plan for the evaluation of the intelligence value of anomalous cognition from Mumford during the July meeting of the “blue-ribbon” panel at which I was invited to present material and answer questions. At that date, Mumford claimed that they were only going to look back three years from the end of the 24-year program. I told him that I was convinced that this would not provide an honest picture of the utility of AC. I informed the panel that I could easily predict the outcome based on my knowledge of the morale of the government’s viewers, the substandard management by Defense Intelligence Agency (DIA) officials, the tasking (i.e., what data they were after) and the inappropriate collection protocols. Mumford attempted to justify his decision by saying he did not want to rely on memory and hearsay. He would not have to, because there was an extensive written history including testimonials to official organizations within the Intelligence Community. Mumford reiterated that he was sticking to his plan, regardless. I objected to this decision to ignore existing data. I called the individual at CIA who had been assigned to manage the review, hereafter called the Point of Contact or POC, and insisted that some of the officials I had previously named had to be contacted. I learned later that the names and phone numbers of at least six individuals had been given to the POC. These end-users were both on active duty and retired who have already been on written record as attesting to the value of AC-derived intelligence data in solving specific problems. After the AIR report had been given to Congress, but before it was released to the public and before I had seen it, I called many of the individuals on the list. Most were not contacted and those that were, told the CIA representative the case specifics and value of their individual circumstances. Some of the positive findings occurred before the final year but within the last three years of the project. Finally, even a cursory investigation of the written record of intelligence operations would have revealed substantial evidence of the operational utility of anomalous cognition. Minimally, there exists enough data to claim prima facie utility with regard to the method, and selected cases are beyond doubt as to AC’s specific utility. How is it that the CIA and AIR could not find compelling evidence for the operational utility of anomalous cognition? They clearly chose not to look. Evaluate our written protocols prior to conducting any experiments. The protocol that was actually used for each investigation was the convergence of round-robin exchange with the SOC. Exercise un-announced drop-in privileges to observe experiments in progress. Approximately one half of the SOC availed themselves of this opportunity. Review the then classified final research reports as if they were technical journal submissions in their individual disciplines. The disciplines included physics, philosophy, psychology, electrical engineering, statistics, and astronomy. Their reviews were in writing and appended, un-edited, to our each final report. Suggest approaches for research in the next year of the 5-year contract. During the SAIC time, the SOC was limited to only five members but they had the same charter. Three of the five came from the SOC at SRI. At SAIC we established two additional oversight committees. An Institutional Review Board (i.e., human use committee) was established with nine members who were health and medical professionals and are renowned in their disciplines as well. The list included one Nobel laureate as did SAIC’s Scientific Oversight Committee. Besides assuring the protection of our human subjects, they also served as a less formal scientific oversight committee. The third oversight committee at SAIC was for policy. The three members of this committee came from formerly very senior positions in the DOD and their job was to assure that we were meeting our obligations to the DOD and supporting its mission. Of these 17 individuals who had intimate knowledge of the inner workings of this project, scientifically, methodologically, and administratively only one was contacted by CIA. It was that single individual who provided the names of satisfied end-users I discussed above. The SOC’s comments were available to the AIR reviewers in written form, and many of the committee members lived on the east coast and even a few lived in Washington. The CIA/AIR investigators could have easily contacted them. They didn’t. The failure to contact significant program participants does not end with these committees. I provided the POC with the names and phone numbers of numerous other pertinent individuals. The list included the previous project director for STAR GATE who had retired less than a year before the review and the Commander for a still-classified client who initiated a single contract that accounted for a significant fraction of all the funding for the project over the 24 years. In addition, I gave the POC the names of a number of the original government viewers. In short, with interviews of mostly local people the CIA could have gained significant insight to the scientific, operational, managerial, and political aspects of the STAR GATE project. They chose to ignore these resources. One of AIR’s significant methodological flaws is important with regard to the assessment of operations. In the Section on the Evaluation Plan in the report, Mumford et al. (Page 2-1, 1995) correctly required of the laboratory investigations “…unambiguous [emphasis added] evidence for the existence of the phenomenon… .” Following this lead, Hyman hypothesized a number of alternative explanations for the observed statistical significance other than the anomalous cognitive one, although he admits he couldn’t find any obvious flaws in the methodology (Mumford et al., 1995, Page 3-75). For example, he is troubled that during the SAIC research, a single judge was used to conduct all the laboratory evaluations. Although Hyman does not propose how this might effect the result, he is correct in proposing the hypothesis that it might somehow affect the outcome. (Hyman lists other alternatives as well, but this one illustrates the point.) As it turns out, Utts finds statistical homogeneity (i.e., meaningful consistency) among the results from SRI, SAIC, and replications elsewhere when that single judge was not involved. Thus, this hypothesis must be rejected. This same consistency also rejects the other alternatives Hyman proposes, as well. Yet, AIR fails to apply the same “unambiguous” criteria to their evaluation of the efficacy of AC in intelligence operations. In this case, why operations may have failed. In particular, in their discussion in the Section on Evaluating the Utility of Remote Viewing in Intelligence Operations they list a number of “boundary conditions” that might affect anomalous cognition in operations. These include a number of physical and methodological issues such as feedback and whether a sender or distance to the target might be factors. They did not discuss or propose any psychological issues that may have been the deciding factors as to why the operations failed in their limited sample. For example, it is well-known that human performance of any kind and most certainly AC-performance is profoundly affected by the morale, the expectations of the participants, and the emotional environment in which the performance is expected (e.g., home-team effect in sports). But none of these potentially critical factors was discussed in the context of reaching the unambiguous conclusion that AC was useless in operations. That is, I saw first hand and reported to the panel that during the last two years (i.e., the time of the operational evaluation) the emotional environment had deteriorated to the point that the viewers wanted to leave the unit, and some of the staff had already left in disgust (May, 1995i). The morale was so low that doing excellent remote viewing, or practically anything else, would be out of the question. The AIR investigators interviewed the government remote viewers (Mumford et al., 1995, Page 4-9) and learned of these problems, first hand (May, 1995j). These critically important factors were completely left out of the discussion in the report and no alternate hypotheses were suggested to question their “unambiguously negative conclusion about the use of AC in intelligence operations. One important aspect of the program was its on-going and rigorous review and technical oversight. Everyone involved (i.e., the government sponsors, SRI, and SAIC) were correctly concerned that the research should be as rigorous as possible and that the program could be justified within the Intelligence Community and DOD. These reviews were extensive and were conducted by General military officers, senior members of the Intelligence Community, respected scientists from many disciplines, and end-users of the AC intelligence product. These remain classified, and with one exception, were positive with regard to the existence of AC and its successful contributions to intelligence. Even the negative one only wanted to stop the research but continue the operations! The final such review was conducted in 1987. In addition to the written reviews, from 1985 through 1990 the program enjoyed the continued oversight of a high-ranking military officer from the still-classified sponsor and a GS-15 geneticist from DIA as permanent on-site observers at SRI. The POC is a Ph.D. scientist and at the time seemed dedicated to the best job possible. He informed me, however, that the CIA intended to ignore the previous reviews and start fresh. Given that the review had to be in Congress in four months, I could not conceive how it could be effective and accurate and ignore the substantial amount of previous oversight. After all, a complete analysis could, and should have, included a review of the previous classified DOD assessments. A Thread of Bias, Potential Conflict of Interest, and Suppression of Data. In the early days of the project, Targ and Puthoff (1974a) reported on a series of experiments they conducted at SRI with Mr. Uri Geller, an Israeli magician/psychic. George Lawrence from the Advanced Research Projects Agency (ARPA) accompanied by two consultants, Ray Hyman and Robert Van de Castle, came to SRI requesting an opportunity to see an experiment in progress with Geller. Puthoff and Targ correctly denied access to the ARPA representatives because of technical and administrative protocol issues. After all, with such controversy swirling about Geller, it is easy to become quite paranoid about who is trying to trick whom. The safest and the most scientifically sound course is not to allow anyone except the direct research team to witness formal experiments regardless of credentials (Targ and Puthoff, 1977 and May, 1996). Yet, as part of their cover story, Time magazine (Jaroff, 1974) quoted Ray Hyman’s claim that the SRI tests were carried out with “incredible sloppiness.” The irony is that the tests that Hyman and Lawrence witnessed at SRI were indeed conducted with “incredible sloppiness,” but the experiments they witnessed were of their own making and had nothing at all to do with protocols of those experiments to which they had been denied access (Targ and Puthoff, 1974b and May, 1996). It is clear that Lawrence and Hyman had strongly held positions and were willing to report their experiences at SRI inaccurately. Thus we see the first evidence of a negative bias on the part of Lawrence and Hyman. In 1984, their biases were again demonstrated. The Army Research Institute (ARI) commissioned the American Academy of Sciences to investigate the potential of certain techniques that propose to enhance human performance (Druckman and Swets, 1988). Although performance enhancement has never been the claim of research parapsychology, the National Research Council included parapsychology as one of the topics to be studied. The same George Lawrence formerly from ARPA was ARI’s project monitor, and he asked that Ray Hyman be commissioned to head the investigation into parapsychological phenomena. David Goslin, Executive Director of the Commission on Behavioral and Social Sciences and Education for the National Research Council, served as overall project director and agreed to the request. “The committee finds no scientific justification from research conducted over a period of 130 years for the existence of parapsychological phenomena. It therefore concluded that there is no reason for direct involvement by the Army at this time. By the time the NRC began their investigation, I was the project director at SRI International. Our program was highly classified at that time and special access was required before any aspect of the project could be discussed even with individuals with appropriate security clearences. * Thus, neither the in-house DIA classified program nor the NRC investigators, and particular Ray Hyman, had access to over 80% of all the remote viewings conducted during the SRI years. None of the research reports from this contract were kept with the DIA remote viewing group. So even though Hyman had access to the this group, he was denied access to and probably even unaware of the SRI data of that time period. “…omit the section of our paper evaluating the Ganzfeld research domains. I refused to do so but was so shocked and disappointed by this request that I discussed this request with a number of colleagues in the Harvard departments of Psychology and of Statistics. Without exception they were as shocked as I was. Rosenthal’s and Harris’ commissioned paper listed the Ganzfeld methodological quality to be superior to the typical quality of the other four areas they considered (Rosenthal, 1990). In addition to the significant methodological flaws and the attempt to suppress positive findings, the NRC study was essentially contradicted in it’s major conclusion by a one-day workshop hosted by the Office of Technology Assessment, the research arm of the US Congress (Office of Technology Assessment, 1989). The OTA did not completely exonerate the field of research parapsychology; there is no scientific endeavor that cannot be improved. The OTA did, however, clearly demonstrate that the research cannot simply be dismissed-a view directly opposite to the NRC’s conclusion. In continuing the development of a potential conflict of interest, I point out once again that David Goslin had administrative responsibility for this seriously flawed NRC investigation. 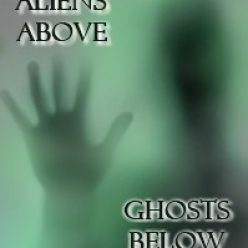 When the CIA was searching for someone to conduct their technical review of the STAR GATE program, they were turned down by the National Research Council in part because of the time constraint and in part because of the substantial negative publicity that resulted from their previous report on parapsychology (May, 1995e). Instead, AIR was commissioned to conduct the review. AIR’s president is David Goslin. Let me now summarize the thread of bias and potential conflict of interest. Ray Hyman and George Lawrence were denied access to SRI experiments with Uri Geller in 1974. Ray Hyman has a long history of a negative bias with regard to parapsychology. In 1985, George Lawrence commissioned the National Academy of Sciences to investigate parapsychology and picked Hyman to direct the effort. In 1986, David Goslin presided over a methodologically flawed review. In 1995, David Goslin assumed responsibility for the CIA-sponsored investigation of the STAR GATE program. “This is in response to your question about why I did not mention the National Research Council’s 1988 evaluation of parapsychology in my report to AIR. The answer is that I was explicitly asked by AIR staff NOT to mention the NRC report in my review! This is very troubling to me for a number of reasons. First, you are correct in stating that I was aware that the NRC committee was not shown much of the relevant remote viewing data when they did their review, and that they did not in fact even know the data existed. As you also noted, I co-authored a critical review of the NRC report shortly after it was published, illustrating a number of weaknesses with it. When I was explicitly asked by AIR staff NOT to mention the NRC report in my review, I assumed they had realized the problems with it, and, especially given the involvement of the AIR President with the NRC Committee, were happy to let it fade into oblivion. Given that background, I was quite disappointed to see that AIR made liberal use of the NRC report in their conclusions. Had I known they were going to do that, I certainly would have discussed the multiple problems with it in my report. By not mentioning it, an uninformed reader may assume that I support it, which I certainly do not. I would also like to explain another omission in my report that occurred for much the same reason. Despite the claims Ray Hyman is making in the media, we were shown very little of the “operational” remote viewing work. One of the few documents we were shown was a list of “[the former DIA project officer’s] best” remote viewing successes. Since the list provided almost no detail, you may recall that I asked you for names and numbers of individuals I could contact to get more information about those purported operational successes. In a memo dated August 1, 1995, you provided me with phone numbers for [ a former DIA project officer, a former senior DIA official, a military General who had program responsibility], and Joseph McMoneagle. You sent a copy of the memo to the AIR staff. Shortly after you sent me that memo, I was contacted by the AIR staff and told that I was NOT to contact any of those individuals. Thus, I was not able to gain any details about the operational remote viewing work. I thought you should know that, in case you were wondering why I requested that information and then did not use it. While a case can be made that Professor Utts should not be contacting people with regard to operations because she did not possess a clearance at the time, the individuals I named are professionals and would not disclose classified information to an uncleared person. Regardless, the AIR investigators cannot be excused from the attempt to suppress intellectual findings by, or to limit the research of, a noted academic that may be germane to the stated goals of the investigation. The NRC study was discredited in print and I had discussed that issues in detail with AIR’s blue ribbon panel. Since our research program had been reviewed by various Science Advisory Boards including DIA’s, it seemed prudent and natural that the CIA should ask their own Board or one of many that reside in the Washington area to conduct the program’s technical evaluation. I even provided names and phone numbers of individuals who I know on various boards to expedite the contact. Instead, Utts and Hyman were chosen to act as the expert reviewers. At first glance, this seems like a reasonable approach given that no learning curve would be required. I told the POC that I thought this was not a good plan and that I could easily predict their conclusions based on their previous writing. See Hyman (1986) and Utts (1991) as samples. I reiterated that an in-place Science Advisory Board would better serve that evaluation. What better way to conclude whatever you wish than to build into the evaluation protocol a priori stated scholarly views that are known to span the opinion space. This guarantees that the concluding remarks by CIA will, by definition, be consistent with some evaluator on the team. That is exactly what happened. In the CIA’s presentation to Congress, eight separate bulleted points are allotted to Hyman’s conclusion while only four are allotted to Utts’ and none are given to Utts’ important rebuttal to Hyman (May, 1995g). Since most of the work under review occurred under my watch as the contractor program director, I could obviously not be involved in the analysis directly, but as part of my contract responsibility, I was asked to advise the review process. In a 4-page document (May, 1995a), I indicated in words and figures how a review might proceed. The major point was that acceptance criteria for operations and research should be set prior to the review so that they could be used to judge the validity of the program in an unbiased way. Not only was this advice ignored, it was ignored by fiat. The reviewers were instructed to only look at research results from SRI and SAIC. Fortunately for scientific credibility, Professor Utts ignored this statistically invalid directive. Such action by CIA with regard to their review can only add to the evidence that they were either only interested in a negative outcome or statistically naive. Determining the efficacy of operations was much more difficult. Would one successful operation be sufficient justification to continue the program, or would all the operations have to be useful? What constitutes a successful operation? A one percent hit rate might be considered miraculous by one customer, but a 50% hit rate might be useless to another. I made no attempt to suggest what that judgment criteria should be; I only urged that it be set in advance. It wasn’t. It was not done as a matter of official policy or even informally as a guideline. As it turned out, the POC later informed me that only a single case would be sufficient as far as he was concerned, but he was careful to say that the decision was being made at “a much higher pay grade then his.” I learned later that they were only going to examine the last set of AC operations from the 24-year program. I and they knew that these cases were not representative of the program at large. This point will be expanded below. For the period at SRI from 1973 to 1989 (this also covers the pre NRC report date) use the [in-house] meta-analysis as a guideline for the assessment with spot checks to the primary documents to validate the SRI evaluation. Use all the work conducted under the SAIC program from 1991 through 1994 as the simplified test set of documents. I think that includes 4 final reports and perhaps 10 major projects within that set. Although the request seems straight forward at the outset, to establish the existence of Remote Viewing on the basis of a subset of the total data set does not conform to the accepted practice for meta-analysis as set forth in Rosenthal (1991) and Hedges and Olkin (1985). I went on to comply to the request in such a way that the complete record would be examined to avoid any accusation of a so-called “file-drawer” problem by including in my list a detailed in-house meta-analysis covering the period from 1973 to 1989 (May, Utts, Trask, Luke, Frivold, and Humphrey, 1989). This analysis was conducted as part of contractual requirement to a still-classified sponsor. AIR ignored the CIA directive by including the National Research Council’s review of parapsychology as a support for their conclusions about research. Knowing full well that the NRC investigators did not have access to any SRI reports from 1985 onward (May, 1995d), they featured it prominently in their final report. I would like to emphasize my role, or lack of it, in the CIA/AIR evaluation of the STAR GATE program. As I said before, it was inappropriate for me to be involved in the actual assessment; however, it is especially important to learn from the critical details that never make it into official reports.† To illustrate my point, of all the “blue-ribbon” panelists, Professor Utts was the most familiar with the project; she had served as a visiting scientist for a year during the SRI era. Even with her intimate knowledge she called me at least 12 times to seek clarification on specific points in the documents she was reading. Professor Hyman never called and the AIR team not only did not call but refused to return my multi-faceted communication attempts. As a result of AIR negligence, their report contains numerous errors of fact and errors of assumptions. I was the director of the government-sponsored investigation of anomalous mental phenomena for 10 of the 24-year history. I presided over 70% of the total contractor budget, 85% of the program’s data collection, and had intimate knowledge of and responsibility for the project. For AIR to not use this resource is scientifically indefensible. As the review process was coming to an end, I formally sought the opportunity to provide a written commentary to the AIR report to be included with the blue-ribbon panel’s reports (May, 1995h). Given that Utts and Hyman were given space to comment on each others work,* and since most of the science that was being reviewed was work conducted under my direction, it seemed only natural to include my comments. That request and a similar one to AIR was ignored. Under the reluctant auspices of the DIA, the program transitioned from SRI to Science Applications International Corporation in 1991. We recognized shortly thereafter that DIA did not welcome the responsibility as the contracting agency. The reason DIA management was not anxious to have the program was complex and not associated with the technical aspects. Some of the DIA management had previous negative experiences with senior military officers who had become “believers,” oversold the program’s capability, and were known as “loose cannons” in the community. This reluctance manifested in two important ways. First of all, the initial financial support for the program in 1991 came directly as part of the supplemental Defense Appropriations bill and was considered by Congress as “seed” money. DIA was expected to request follow-on support as part of the overall DIA annual budget requests. Those requests never happened; all program support through 1995 came from the Appropriations bills. One consequence was, that a member of the staff of the Senate Appropriations Committee became increasingly disappointed with the DIA and began to micro-manage the program with disastrous results. A second consequence was that an attempt was made in 1993 to transfer the program to CIA. No willing recipient could be found there to accept the program. Even then the CIA did not want program responsibility. Secondly, the negative attitude from senior DIA management filtered down the chain of command. For example, the final project officer who had direct responsibility for the program before it closed had little knowledge of the program; no knowledge of its substantial history; no technical background to manage such a project; ignored the research results; and created a crushing atmosphere with his management style. The morale was so bad that viewers and officials within the government’s remote viewing unit repeatedly asked me to intervene. This placed me in a very difficult position as a contractor. I informed middle management at DIA of the problems with no result. In short, the program was in shambles. The operations that were conducted during the last few years of the project, for the most part, were destined to and did fail. 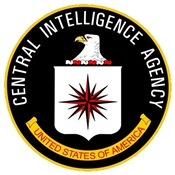 It was this program, including personnel, that was to be transferred to CIA by 1 July 1995. In my professional opinion, which I shared with the POC, the program, as it was configured, would not produce successful AC intelligence operations. So, CIA had strong and valid reasons not to want the program. The Agency was soundly criticized in the press for mishandling the Ames case and other excesses, so they did not need another controversy. In my opinion, the last thing they would want would be to inherit a Congressionally micro-managed program in severe internal distress no matter what its content or potential might be. Yet, by law they had to comply with the Congressional Directed Action and conduct the review. No wonder that it was probably done in such a way to assure a negative outcome with regard to operations. It is impossible for me to prove whether or not the CIA determined the outcome of the investigation before it began. What is obvious, however, is that the evaluation domain of the research and particularly the operations were restricted to preclude positive findings. The CIA did not contact or ignored people who possessed critical knowledge of the program, including some end-users of the intelligence data. Investigators were chosen who either had previously published conclusions or who possessed a serious potential for a conflict of interest. With the exception of the significantly flawed National Research Council’s review, all the DOD previous evaluations of the research and intelligence applications were ignored. I am forced to conclude that either the AIR investigators were not competent to conduct a proper review of such a complex program-a view to which I do not subscribe-or they knew exactly what they were doing; they wanted to demonstrate a lack of intelligence utility for anomalous cognition. They did so by construction rather than by careful analysis. Let us grant for the moment that my supposition is true; the CIA wanted to kill the program. Why was such a detailed rebuttal necessary? After all, an agency should be able to express their wishes with regard to the acceptance of any program that the Congress might assign. In fact, I see it as part of the various agency’s responsibility to inform Congress of what might, or might not, be possible. Rejecting the STAR GATE program on the basis of an incomplete and incorrect analysis not only creates a false legacy, it does not easily allow for other organizations in the public or private sector to assume responsibility for a new version of the program. Aside from setting the record straight, I felt obligated to show that as the result of their flawed methodology, the CIA/AIR greatly underestimated the statistical robustness of the research results and significantly undervalued the potential for anomalous cognition in intelligence operations. Druckman, D. and Swets, J A. Ed. (1988). Enhancing Human Performance. National Academy Press, Washington, D.C. 167-208. Dunne, B. J. and Bisaha, J. P. (1979). Precognitive Remote Viewing in the Chicago Area: A replication of the Stanford Experiment. Journal of Parapsychology. 43, No. 1. 1-16. Hedges, L. V. and Olkin, I. (1985). Statistical Methods for Meta-Analysis. Academic Press, Inc. Harcourt Brace Javanovich. New York, NY. Hyman, R. (1986). Parapsychological Research: A Tutorial Review and Critical Appraisal. Invited Paper. Proceedings of the IEEE. 74, No. 6. p. 825. Jaroff, L. (1974). Boom Times on the Psychic Frontier. Time Magazine. 4 March. 56-72. May, E. C., Utts, J. M., Trask, V. V, Luke, W. L. W., Frivold, T. J, and Humphrey, B. S. (1989). Review of the Psychoenergetic Research Conducted at SRI International (1973-1988). Final Report-Task 6.0.1, Project 1291. SRI International, Menlo Park, CA. May, E. C. (1995a). Memorandum to POC. 6 June 1995. May, E. C. (1995b). Memorandum to POC. 14 June 1995. May, E. C. (1995c). Memorandum to POC. 19 June 1995. May, E. C. (1995d). In May’s only meeting with the AIR “blue-ribbon” panel during which the lack of NRC access was discussed in detail. July 1995. May, E. C. (1995e) Personal communication. The CIA point of contact. May, E. C. (1995f). E-mail letter to Professor Utts, 17 December. May, E. C. (1995g). Personal communication. US Senate Appropriations Committee Staff Member. May, E. C. (1995h). Memorandum to POC. 14 August 1995. May, E. C. (1995i). Personal communication. Foreign analyst for the unit, June, 1995. May, E. C. (1995,j). Personal communication. A government remote viewer, August 1995. May, E. C. (1996). Personal communication. Hal Puthoff. Mumford, M. D., Rose, A. M., and Goslin, D. A. (1995). An Evaluation of Remote Viewing: Research and Applications. The American Institutes for Research report. September 29. Office of Technology Assessment (1989). Report of a Workshop on Experimental Parapsychology. Journal of the American Society for Psychical Research. 83, No. 4. 317-340. Palmer, J. A., Honorton, C. and Utts, J. (1989). Reply to the National Research Council Study on Parapsychology. Journal of the American Society for Psychical Research.. 83, No 1. 31-50. Public Affairs Office, Central Intelligence Agency, 6 September 1995. Rosenthal, R. (1990). Letter to the Editor. Psychological Science.. 1, No. 5. p.329. Rosenthal, R. (1991). Meta-Analysis Procedures for Social Research.. Sage Publications, London, UK. Schlitz, M. J. and Gruber, E. (1980). Transcontinental Remote Viewing. Journal of Parapsychology. 44, No. 4. 305-318. Schlitz, M. J. and Haight. J. (1984). Remote Viewing Revisited: An Intrasubject Replication. Journal of Parapsychology. 48, No. 1. 39-50. Targ, R. and Puthoff. H. E. (1974a). Information Transmission Under Conditions of Sensory Shielding. Nature. 252. 602-607. Targ, R. and Puthoff, H. E. (1974b). Geller: experimenters reply. New Scientist. Letters. 7 November. Targ, R. and Puthoff, H. E. (1977). Mind-Reach. Delacorte Press. Targ, R, Katra, J, Brown, D., and Wiegand, W. (1995). Viewing the Future: A Pilot Study with an Error-Detecting Protocol. Journal of Scientific Exploration. 9, No. 3. 367-380. Utts, J. (1991). Replication and Meta-Analysis in Parapsychology. Statistical Science. 6, No. 4. 363-403. CSL is a part of the Laboratories for Fundamental Research (www.lfr.org). For questions or comments about the web site, email the Webmaster. All page layouts, text, graphics, photographs, and other inclusions in the CSL web site are Copyright © 1999-2001 by Cognitive Sciences Laboratories. All rights reserved. To request permissions, email CSL.